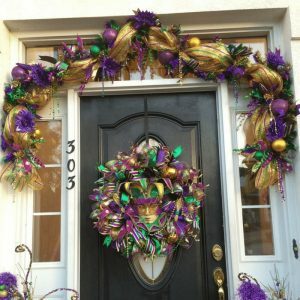 Be the envy of the neighborhood with an amazing looking door each season. 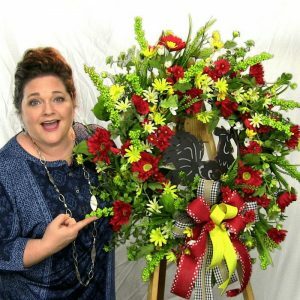 You don’t need to be a professional florist to learn how to make amazing decorations for your home. I mean, look at me– a self-taught, stay-at-home mom making decorations from my garage. 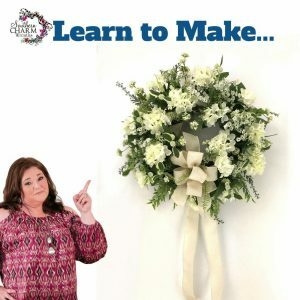 I now teach thousands each month on how to learn the art of wreath making! 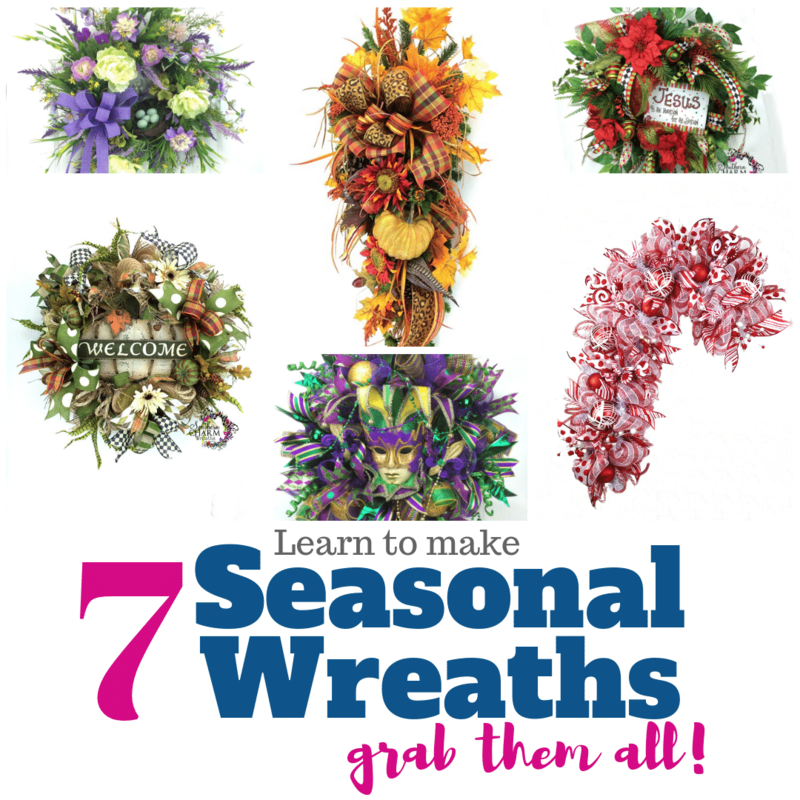 No matter your skill level, you will be able to make amazing wreaths yourself. 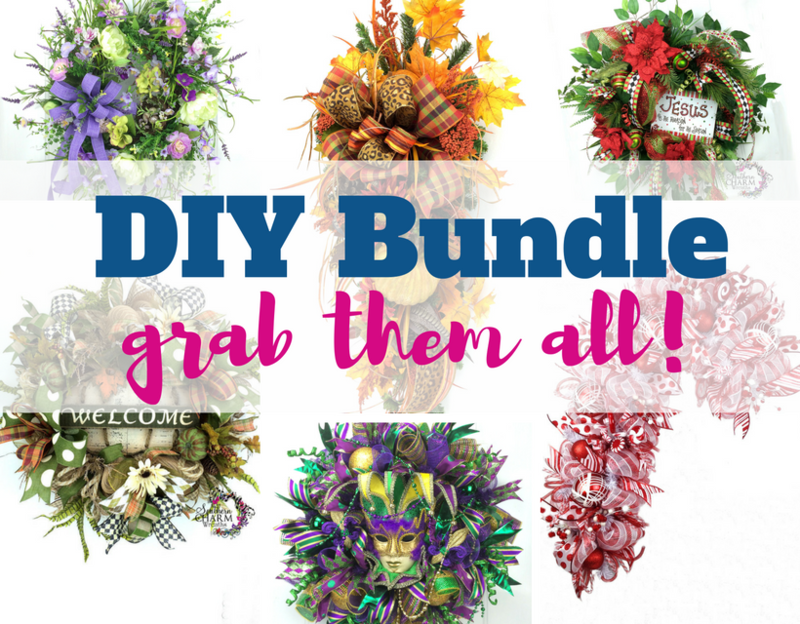 All 7 DIY Wreath Making videos teaching you the art of wreath making for Christmas, Spring, Fall, and Mardi Gras! 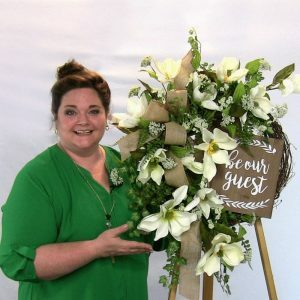 Each video will give you a supply list, a step-by-step video on how to make a seasonal door wreath just like a designer and all from the comfort of your home. You deserve to come home to a home you love and you’ll take pride in the fact that you made it that way. This is perfect if you can’t decide which of my videos to get or if looking for an AWESOME gift for that DIYer in your life?